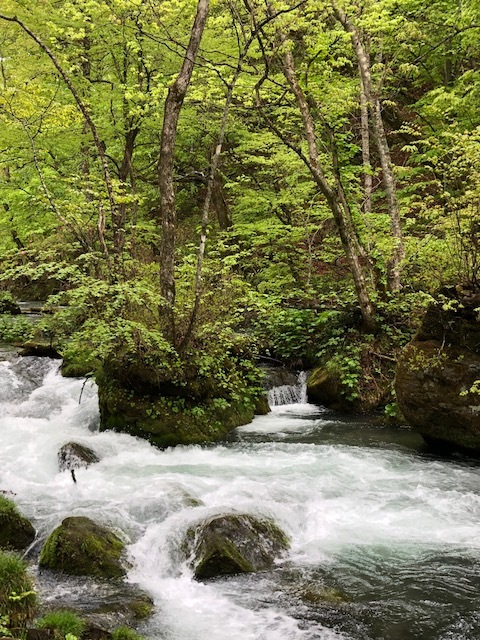 Attracted by the prospect of a ramble by a mountain stream shaded by lush trees, I planned a trip to Oirase, a scenic area of Aomori Prefecture at the northern tip of Honshu in May. In my view this is one of the best months to travel in terms of the climate, but the weather forecast grew increasingly bleak as the date of my trip approached: overcast and cold, was the prediction, with temperatures expected to plunge to near zero. My heart sank. This was not how it was supposed to be. But, Oirase did not disappoint. 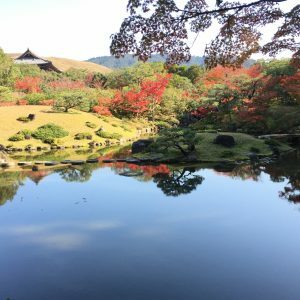 I discovered this place years ago during a bus tour that took me on a whirlwind visit to the four major summer festivals in northern Japan. It included a very brief stopover at Oirase, which is part of a national park. I was struck by it but there was no time to explore back then. 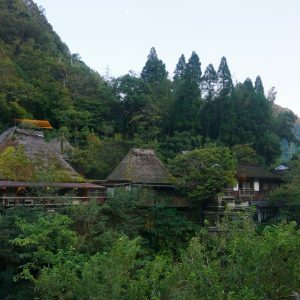 For this trip, I booked a two-night stay at Oirase Keiryu Hotel, which overlooks the eponymous stream. 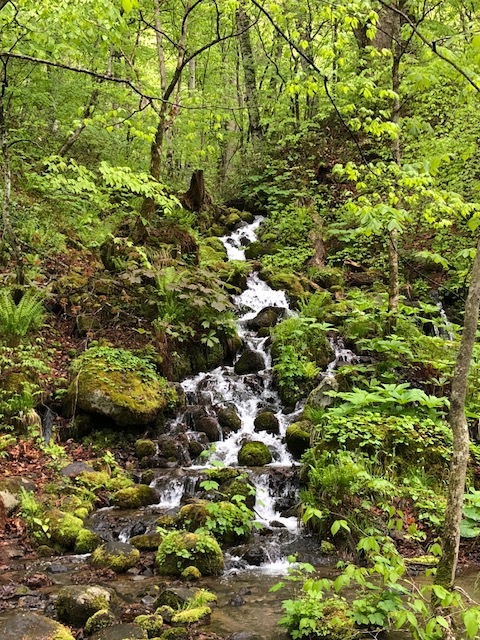 I signed up for the hotel’s tour with a nature guide that focused on highlights along the 14km stream that stretches from Lake Towada to Yakiyama. There are numerous waterfalls, big and small, along the roughly five-hour trek — if you chose to walk the whole route. A modest trickle – one of the small waterfalls in the Oirase Gorge. Oirase is a fairly narrow and shallow river. The trees – Japanese beech, oak, maple and white cedar — some as much as 200 years old, cluster along the river banks, providing a refreshing green awning. The Oirase Gorge is ideal for the unseasoned trekker, as the narrow dirt path running alongside the steam is mostly flat. I had no trouble walking in a pair of sneakers. Our guide took the half-dozen members of our group upstream against the flow, which he said provided a more spectacular view of the water. As we set off, the flow of the water was a gentle murmur with barely a ripple disturbing the surface. The river was calm as we set off on our trek. Soon we heard a roar. As we turned a bend on the path, the stream changed. The water foamed and gushed as it hit rocky outcrops and fallen timber. The flow of the river can change suddenly from a quiet trickle to a mighty roar. The only drawback along this beautiful route is a road that runs parallel to the river. Thankfully as it was the week after a long annual national holiday, the traffic was minimal as most holiday makers had returned back to work. 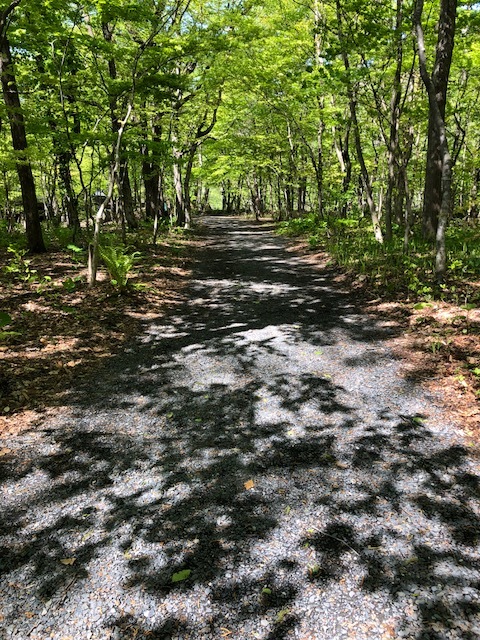 When I took a second walk by myself there were long stretches where I met no one. The solitude was peaceful, although it was not hard to imagine the road clogged with cars and even huge buses during the height of the autumn tourist season, when the forest is aflame with a riot of gold and red. The road causes concern from the environmental perspective as well, and local authorities are currently grappling with the issue. The plan is to restrict the number of cars that can travel through the picturesque area, and a bypass is now under construction. 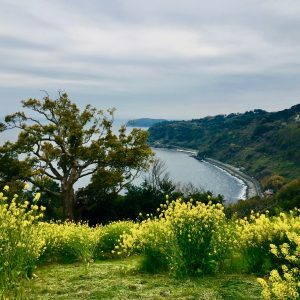 The discouraging weather forecast meanwhile proved partly correct, although the cloudy and unseasonably cold temperature – the hotel staff said they were wearing T-shirts the previous week – failed to detract from the pleasure of the trek. 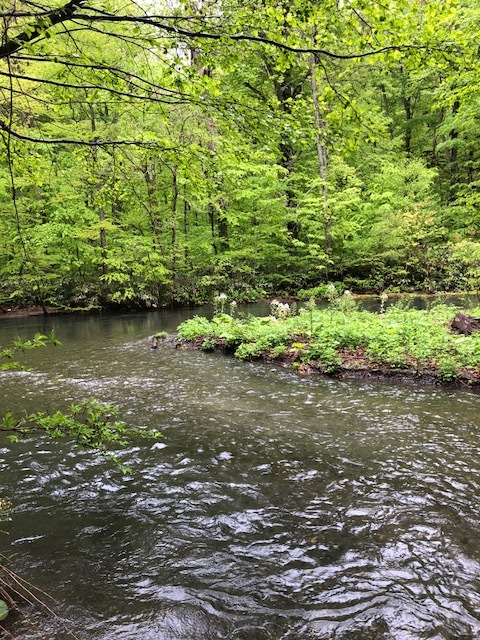 In fact, our guide said the damp condition made it ideal for another activity: marveling at the microscopic world of the area’s abundant moss through a magnifying glass. Our guide produced a handful of pocket magnifying glasses from his backpack, each with a long ribbon attached so we could hang them from our necks. We “oohed” and “aahed” as we bent over rocks and tree trunks crusted with thick mats of lush moss, viewing the soft greenery through our magnifying lenses. One of scores of moss-crusted trees. 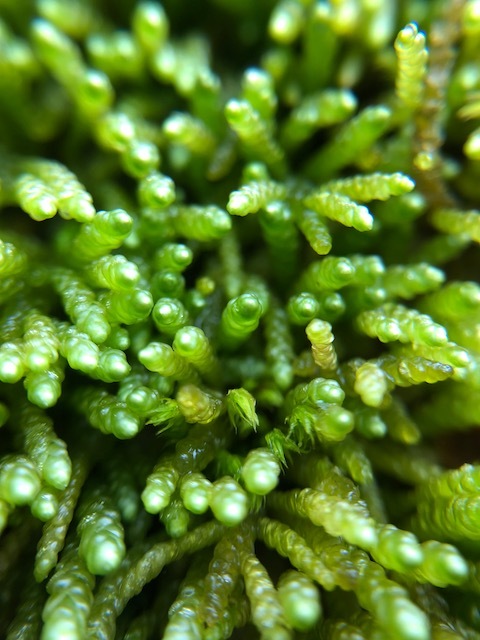 This moss is popularly known as “Nezumi-no-o” – literarily mouse’s tail, from the way it looks. 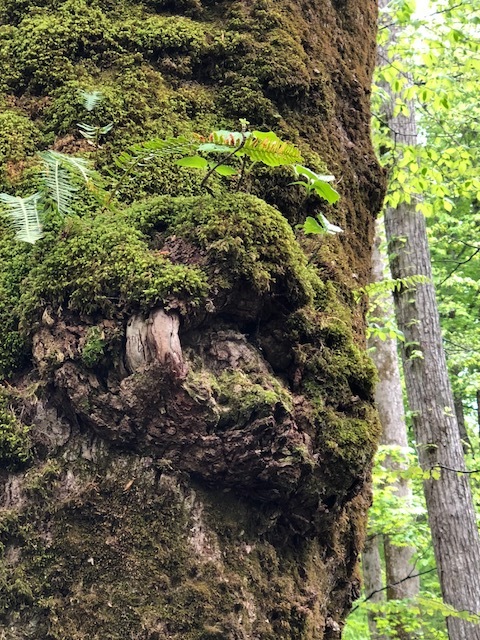 I had not realized the unique qualities of moss until my Oirase experience, nor did I know there are over 10,000 species of the plant. It was literally an eye-opening experience. 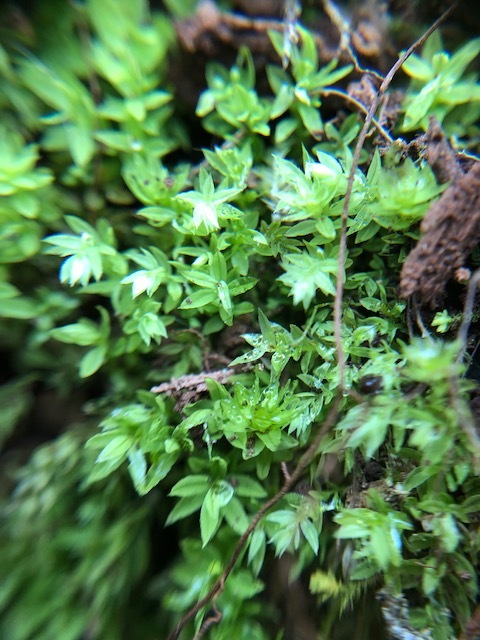 What looks like a branch of leaves is actually a cluster of moss seen through a magnifying glass. Oirase may not appeal to the serious hiker eager to tackle a challenging trail. But I was happy just to enjoy the simple pleasure of a walk along a picturesque mountain stream. Oirase Keiryu Hotel is now part of the Hoshino Group, which operates inns and hotels catering both to the high-end and budget traveler. Oirase Keiryu falls somewhere in between the two. It has several different spas. It also offers some rooms with a private semi-open spa with a view of the stream and mountains. Meals, both breakfast and dinner, are buffets for the standard plan, but with an extra fee this can be changed to a more formal full-course western-style meal in the evening, or breakfast at a table by the river. The grounds of the Oirase Keiryu Hotel. 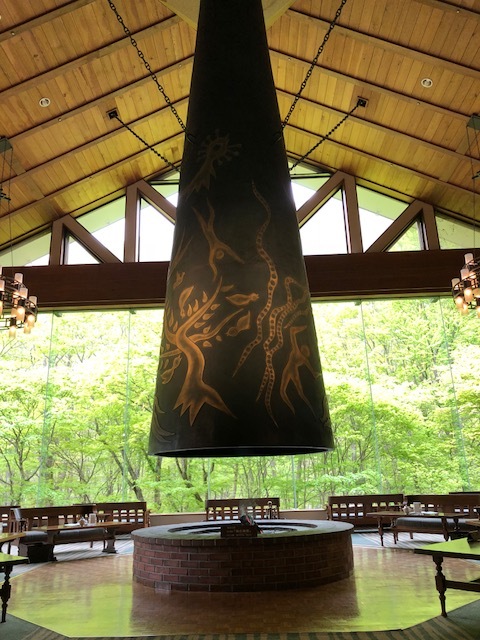 A huge cone object designed by Taro Okamoto, the acclaimed Japanese artist best-known for his sculpture, “Symbol of the Sun,” which became a symbol of the Osaka Expo in 1970, hangs above the fireplace. The fireplace chimney designed by Taro Okamoto. Reaching Oirase is a trek of a different kind. 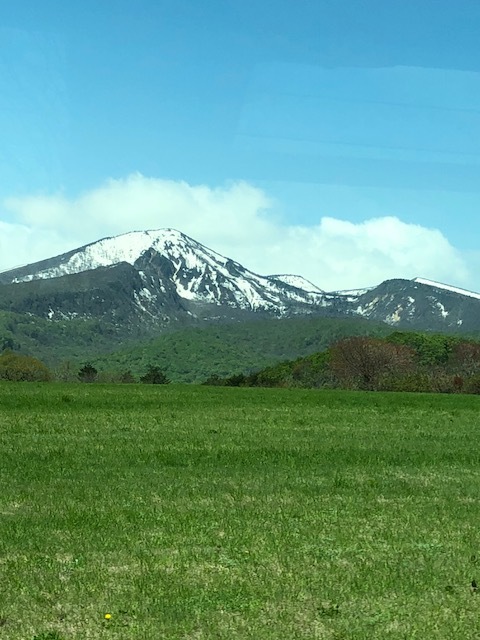 There is a shuttle bus between the hotel and the closest airport — Aomori Airport, — and the nearby shinkansen stations – Hachinohe or Shin-Aomori. I took the roughly three-hour ride on the Shinkansen from Tokyo to Hachinohe. The bus from either of the Shinkansen stations to the hotel is another 1.5 hours. Rates for rooms differ depending on the season, but are available from a little over 12,000 yen per person for a twin room. The view from the shuttle bus on the way to Oirase.